This page will describe the amplifiers that have been end of lifed here at TheAirtightGarage. These are mostly in order of appearance. Emily The Emily was not the very first amp made here as a company, but was one of the first offered. It was like a deluxe, but had more headroom, and did not fart out at the end of the dial. It also had a lot more articulation and accuracy. The unit was tweeded, then aged, and the faceplate was aluminum or brass that was engraved with a pantograph machine. MSRP was $1200, they sold for about $800 in store. Betsy 115 This is almost the same amp as the Betsy, but there are a few small changes. The amp itself has more clean headroom. It is also even more transparent. This was done by using custom power and output transformers in the amp and som esmall circuit changes. It also used one 15" driver instead of four tens. 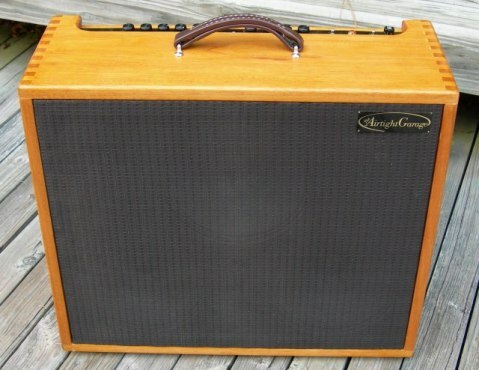 This amp was more of a jazz/country amp, but several rock guys like it due to the clean power that it had. Zoe The Zoe was another in the tweed series of amps, this one had three ten inch drivers and was very low power (20W). One could think of it as a modded bandmaster type amplifier. 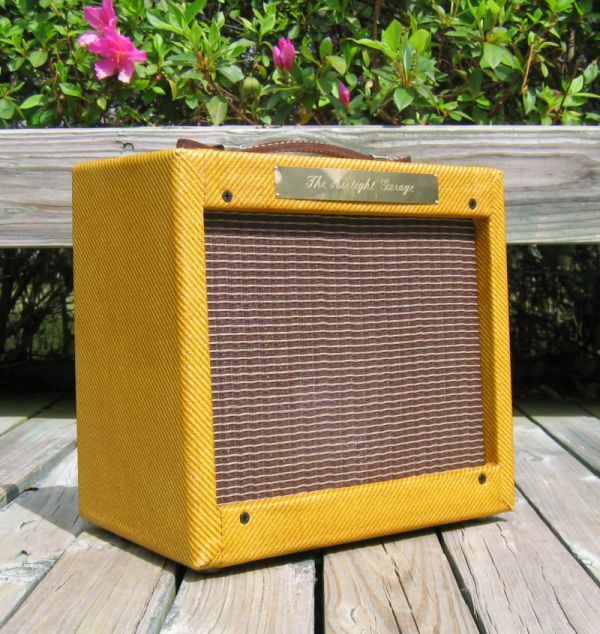 Again, this was in the tweed craze era (even though it was a mere 2 years into it when we stopped all of this tweed amp business) and it sure looks like a clone. Bunny The Bunny was made about the same time as the Emily and Betsy. It was another modded classic circuit that we moved away from. 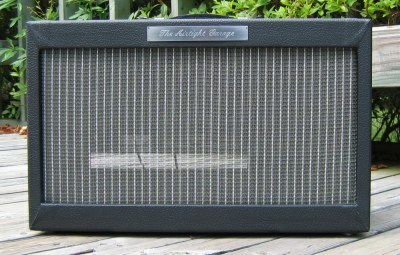 It was a 6W or 10W single 8" or 10" amp in tweed. Single volume control, later on we built a MKII which had vol/tone and either 5, 10, 12 or 18W of power (two output tubes and you could mix/match/swap them). MSRP was $600 but they sold for less. The Barbara This was a modified reverb vibrato unit. This is a really nice analog reverb and vibrato unit. It is based on the "Hoffman" Revibe unit, which has been changed by a guy in Norway to a tremolo unit. We sold very few of these, but the ones we did sell satisfy the customer to this day. Candy The Candy amp was one of our most original amps ever. Nothing about this amp was based on any amplifier or cicuit that we know of. This was a two channel amp (one clean and one mean) that had two completely separate preamp circuits. 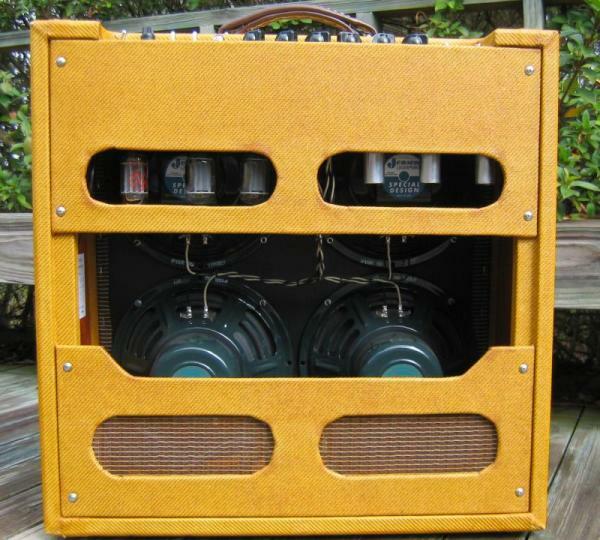 Each pramp had its own tone stack, volume, master volume and reverb unit (each with its own tank). It had 45 watts of power, eight tubes in the preamp section and three tens. You could use the clean channel or the mean channel or both at the same time, which gave you such an immense possibility of tones that it is hard to even describe. You had clean, mean, crunch, distortion, and everything in between and reverb on each. 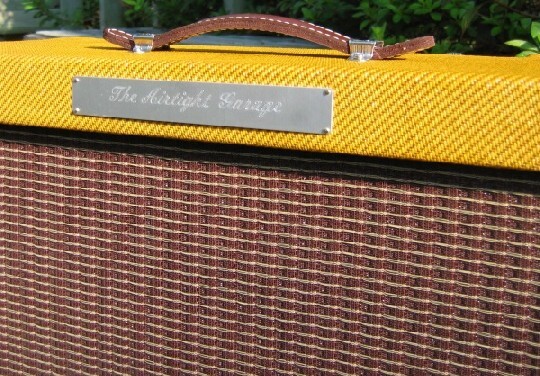 This is my personal favorite amp of all time, and it took over a year to design and tweak it. The main fault of this amp is its price. There is so much circuitry in this amp that it is cost prohibitive and only a handful of customers can really afford it. MSRP was $2100.